Located on top of a pretty hill, between Siena and Pisa, Volterra is a charming town known for its Etruscan origins. Many remains testify this heritage, such as the 7300 meters long fortification walls which were built during the 5th and 4th centuries BC to protect the town from foreign invasions, or the Acropolis that houses several buildings and the foundations of two ancient temples. 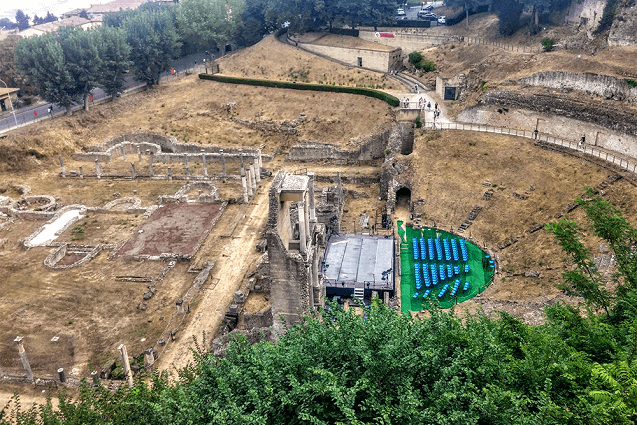 Roman remains, such as the Roman Amphitheater, can also be admired. 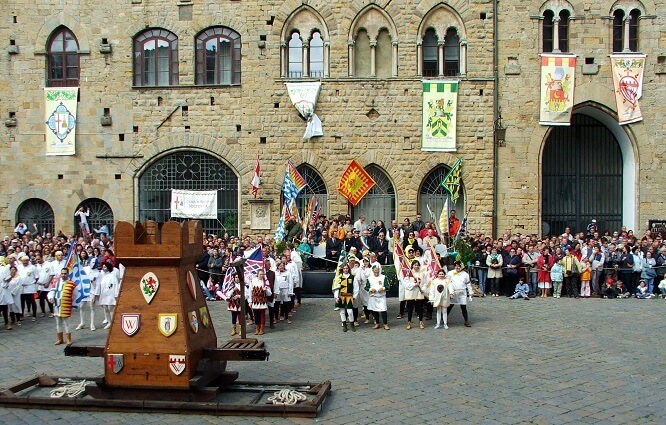 A walking tour in the city center will enchant you with its narrow medieval streets, its central piazza and its impressive buildings such as the 13th century Palazzo dei Priori, he oldest town hall in Tuscany, and Palazzo Pretorio with its tower, known as the Little Pig Tower for the stone pig placed on top of it. The Duomo, Cathedral of Santa Maria Assunta, was built in Romanesque style and later modified during the Renaissance presenting, thus, a fascinating mix of elements. Volterra is also the city of Alabaster, the stone coming from nearby quarries since Etruscan times: the working of alabaster is an ancient tradition which passes down through generations and represents the heart of local handicrafts: sculptures, owls, picture frames and boxes made in alabaster can be bought in the many souvenirs shops. 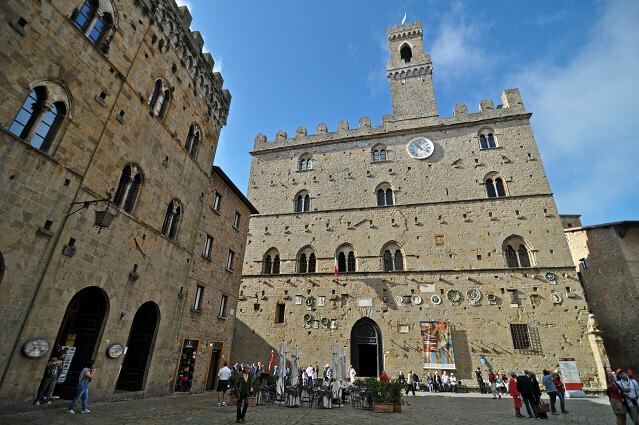 The tour to Volterra is normally included with the visit of San Gimignano and Volterra.